Tuesday will begin the new school year for students in Sumter County and come the end of August all school districts in central Florida will be in full swing. Seminole county along with a few other districts will have an increase in police presence at schools this year. However other school districts will have the same security as they did before the Sandy Hook Elementary school shooting in Connecticut on December 14, 2012, when a gunman opened fire inside the school, killing 20 children and 6 adults. Some Central Florida schools increased the presence of law enforcement directly following the shooting. In Orange County, Mayor Teresa Jacobs added deputies to elementary schools for the remainder of the school year, but officials of the Orange County Sheriff’s Office are saying those extra deputies will not be there this year because the money just isn’t there. In Volusia County they didn’t have the money to increase the number of deputies at schools, but they did increase their patrols around schools and that will continue this year. The sheriff department and local police in Osceola County added more uniformed officers to schools and reports indicate that the increase in officers will remain in effect this year. In Seminole county a $750,000 request for increased security was approved and is adding 10 new deputies to the Seminole school district. Officials for schools and sheriff departments are saying the main focus is on adding police to elementary schools because middle and high schools already have resource officers in place in most counties. Florida has not gone as far as Arkansas, where teachers will now be known as guards and will be permitted to carry 9mm hand guns. While there is strong opposition from the left field, Arkansas teachers say that teachers in Utah have been carrying concealed weapons in schools for more than a decade now. The state has never had a mass shooting in its schools and has never had an accidental shooting or problems with students getting their hands on a teacher’s gun. In fact their schools are probably the safest and the kids are more behaved than that of students in Florida Schools. 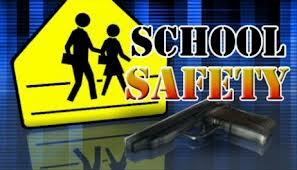 School safety should be a number one priority for every school district.